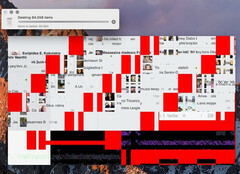 Just one of many problems how GPU glitches on the MacBook Pro can look like. 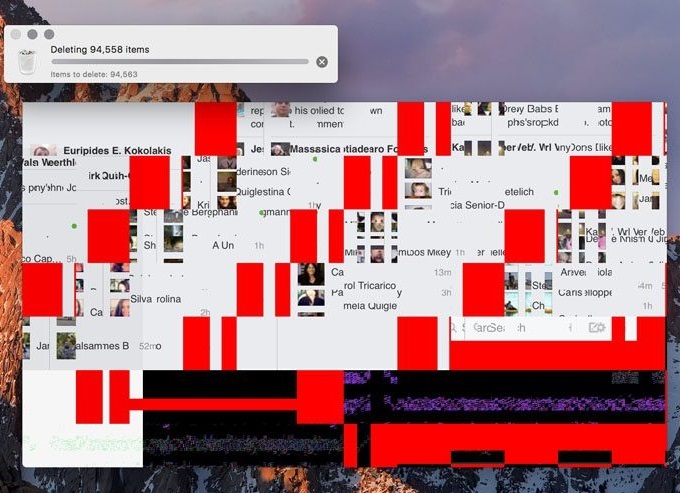 First users of the new MacBook Pro 2016 are reporting massive GPU glitches in both the 13 and 15 inch models. So far it is unclear whether these problems are caused by faults in the hardware or driver issues. Just a few days after the first models shipped to their customers, more and more users of the new MacBook Pro report GPU glitches on both the 13 and 15 inch models. Apparently models with onboard Intel graphics and models with discrete AMD GPU are affected, however a poll on 9to5Mac shows that more users of the 15 inch model with AMD Radeon Pro 460 GPU seem to be experience these problems. Users on both the Apple and the 9to5Mac forums wrote that they noticed tearing or a desktop, that was showing through apps or even system crashes especially when using Adobe software like Premiere or Adobe Media Encoder. Others have experienced these problems when using Apple's own Photos app. A video of how the glitches look like was uploaded on Youtube. (see below) The same user who uploaded the video mentioned, he already got his model exchanged but the glitches persisted. At the moment it is unclear if the root cause are driver or hardware problems.